CONTROL MAGAZINE NO. 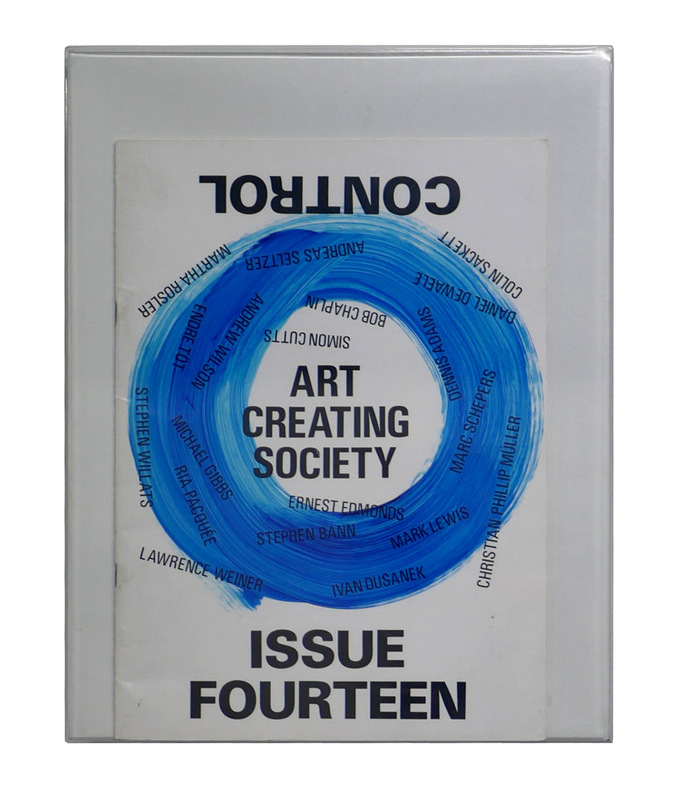 14: "ART CREATING SOCIETY"
In 1965 he initiated Control magazine, which aimed to respond to the current developments in artistic practices, and was centred on the idea of artists explaining practice. The title was derived from the cybernetic idea of “self-determining models of control” ... thus a model for thinking around ideas of self-organisation. The first issue received contributions from a number of Willats’s close friends and colleagues and was printed overnight for cash and self-distributed.